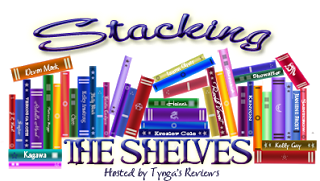 Laurie Here - Contemporary Fiction and MORE - Book Reviews: #StackingtheShelves #34! Week ending 4-29! Blog updates and #Giveaways, too! #StackingtheShelves #34! Week ending 4-29! Blog updates and #Giveaways, too! ***GIVEAWAYS!!! ALWAYS CHECK THE LEFT SIDE COLUMN for the most recent GIVEAWAYS! (Please check the giveaway dates) There are 2 Giveaways going on NOW! ***YES!!!! #1: The Shower of Books Giveaway Hop ENDS SATURDAY NIGHT AT MIDNIGHT! GET YOUR LAST MINUTE ENTRIES IN! There are 49 other blogs participating in this Hop! HURRY! *** #2: The is a Happy Mother's Day Kindle Fire GIVEAWAY going on NOW until 5-7-16! Get your entries in for that one, too! Good luck!!! ALL the Giveaways I have on my blog each week will have ALL of the Giveaways posted right there! They are YOURS TO ENTER and I will have a FEW gently read print books I will be posting to give away in these hops! Check out the LEFT side column! I did not buy ONE book this week! Unbelievable! Get ready for THIS TUESDAY, MAY 3rd! NEW RELEASE DAY GALORE! There are so MANY NEW RELEASES coming out, it's CRAZY! That many MORE titles for YOU to buy! For this upcoming week, I will have 3 NEW REVIEWS! 2 Reviews will be listed on Tuesday, May 3rd, their NEW release dates! I also have one more book back from the beginning of April's new releases back when I didn't have my NEW Kindle yet. I was stuck! I couldn't get Amazon's APP to download onto my computer, and I really think it has to do with the Windows 10 upgrade. I have a few books I need to finish reading, but one is Modern Girls and that review will post this upcoming week! Watch for it! FOR THE WEEK ENDING 4-29-16, HERE ARE THE BOOKS I HAVE RECEIVED FOR REVIEW! 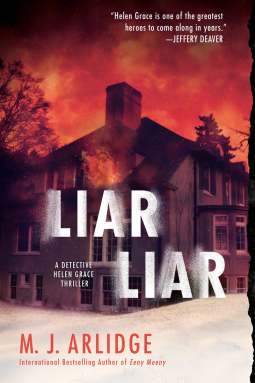 Liar, Liar (Book 4 of the Helen Grace series) by M J Arlidge - I LOVE this series of Thrillers! 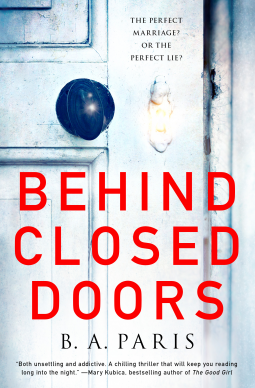 I've read the other three, and the publisher so kindly contacted me and asked if I would be interested in reading this one! Oh, yes, please!!! I am STOKED!!! Thank you SO MUCH for stopping by! I just realized I DID buy a few books this week after all! This is how I found out - and you should read this in case it happened to you . . . after I was done re-registering my Kindle Fire, I happened to see a few books I bought but forgot I bought them. I am NOT discounting those books, but with the number of books I have for review right now, I did not think I bought any! HA, HA! I should know better than that! LOL!!! I'll list those NEXT week for you! I got them on sale! That is always wonderful! One of the books is from the Kindle FIRST program. I'll have MORE to talk about next weekend! See you BEFORE then! Gotcha on that one! IF YOU OWN A KINDLE FIRE. . . I received an email from Amazon telling me Amazon did an UPDATE for the Kindle Fire tablets. "I might" have been affected by an error they had in their update which DEREGISTERS your Kindle FIRE only. I got the Fire out because as I read that email, my husband was on his way home from work. He is DEAD tired on Friday, and with working overtime, I KNEW he was looking forward to dropping dead on the couch with the Fire. Sure enough! Our Kindle FIRE DID get Deregistered. If this happens to you, check the email box where your FIRE is registered to. There WILL be an email there explaining HOW TO RE-REGISTER YOUR FIRE - and it's EASY-PEASY TO RE-REGISTER IT! SO DON'T WORRY!!! Okay, YOU CAN BREATHE NOW!!! It managed to save ALL of his bookmarks and everything! So don't worry, you'll be fine in case that happens! If ANY of you have had this happen and you did NOT get the email from Amazon, I will be MORE than happy to help you out, but know that those people who were affected, Amazon DID give you a $5 Amazon Gift Code good towards your next purchase! You may benefit MORE by contacting Amazon because I cannot give that to you, but if you STILL want to talk to me, I welcome your questions! You can reach me at laurieisreading at g mail dot com! Happy Weekend Everyone!!! Enjoy it!! Nice haul. Hope you enjoy them all! I got the same email from Amazon. Thankfully, my kindle did not de-register. But it did remove some of my books. I had to download some of the books I was reading, which was only a minor inconvenience. Amazon seems to be making a lot more mistakes, lately. Growing pains?